These plans are a best seller. A trailer made from these 5×8 Trailer Plans is better than a pickup truck for yard work, moving, or for taking the motorcycle(s). 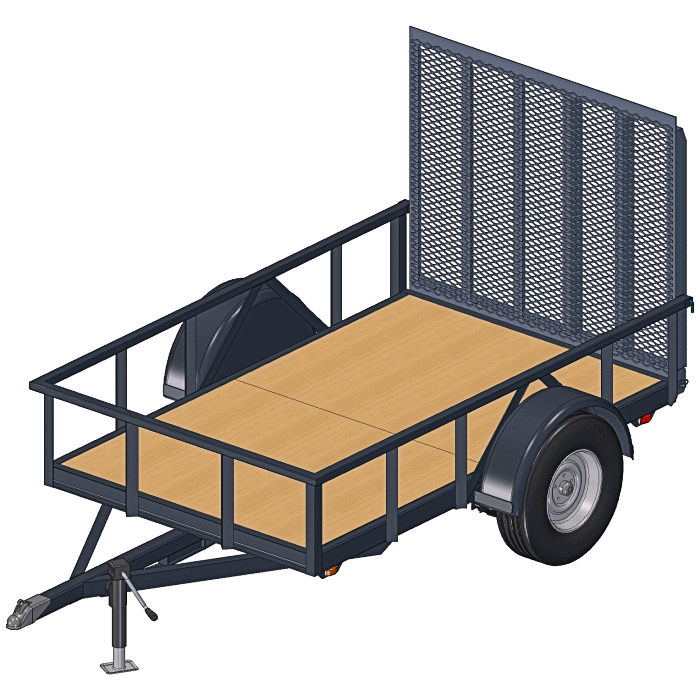 The trailer is designed strong with the right materials in the right places. C-Channel and Rectangular Tube for a sealed design for optimal strength and weight and corrosion resistance. Check out the unique features. 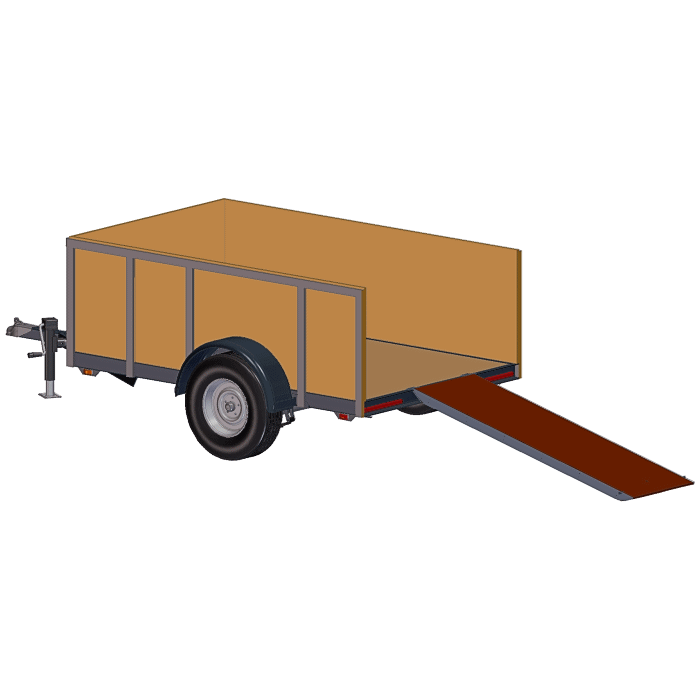 If you need a utility trailer that is a little wider, check out the 6×8 Trailer Plans. For a size narrower, we have these great 4×8 Plans. 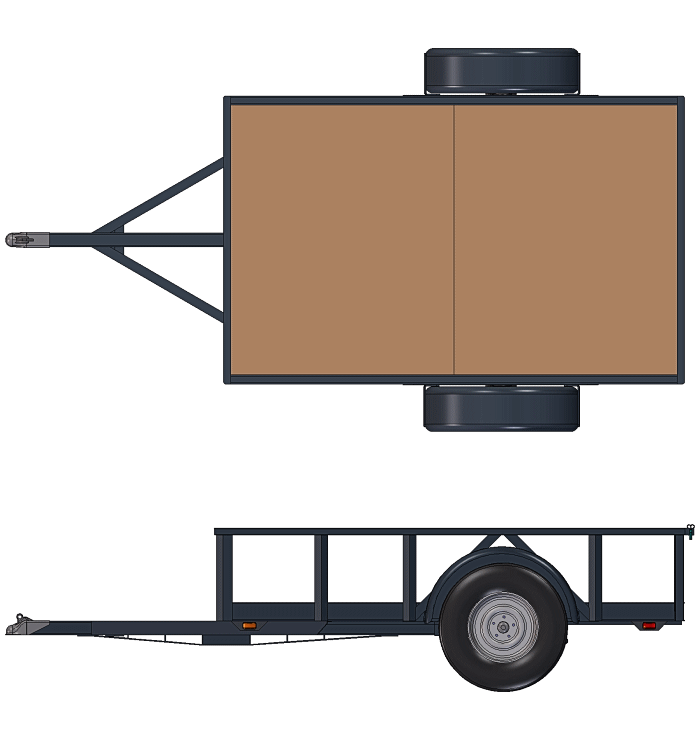 Or for a size longer, please see the 5×10 Trailer Plans. 5′ x 8′ nominal bed size. Actual bed is a little larger so it will carry a full 5′ x 8′ payload. Plans include several options to make the trailer perfect for you. Options like a Convertible Tailgate, a Removable Ramp that stores under the bed, and several possibilities for sides are all there. Plans include easy to follow, illustrated instructions which include a materials list, a parts list, suggested places to purchase the parts, and construction options. The animation shows some of the options like a landscape style hinged tailgate. The 5×8 Trailer Plans have these same options. The trailer design is strong, and it’s perfect even as the base flatbed. Sides add utility, but are not there for strength or stiffness. There are also sever deck options like plywood or 2x dimensional lumber. You choose how it all comes together. Design options in the plans help customize the trailer to meet your particular needs. Things like a top, sides or tailgate add function if you want. 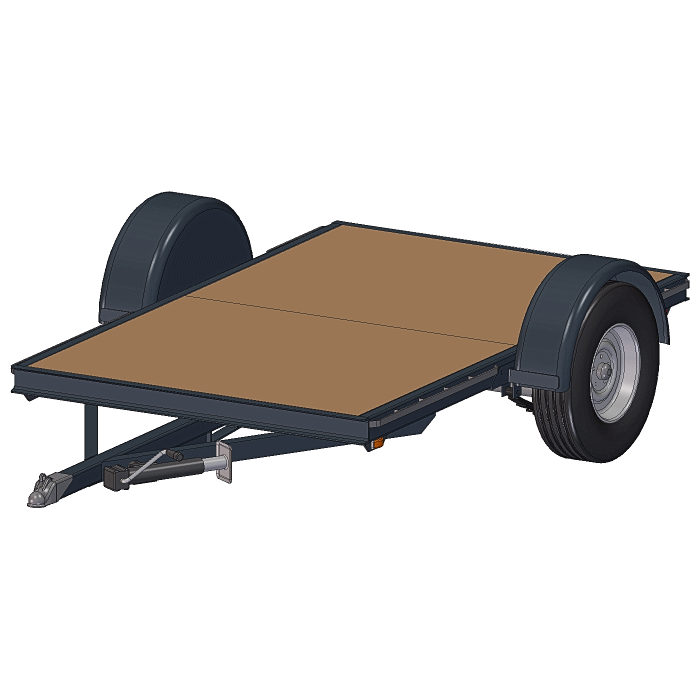 Extras like a motorcycle stand, a ramp and toolbox mounting can also make the trailer perfect. Also read this article about customizing. Trailer bed size is slightly larger than 5 ft. wide x 8 ft. long — long enough to lay 8′ sheet goods down flat, then close the tailgate. Max capacity (depending on options) is 3500 lbs. * including the trailer. Trailer weight will vary depending on design options, but will range from 600 lbs (minimal flat bed) up. Since there are many possibilities, you can build the trailer with just what you need. This is one set of options with the 5×8-3500# Utility Trailer Plans.